This is the Murray Princess in South Australia. 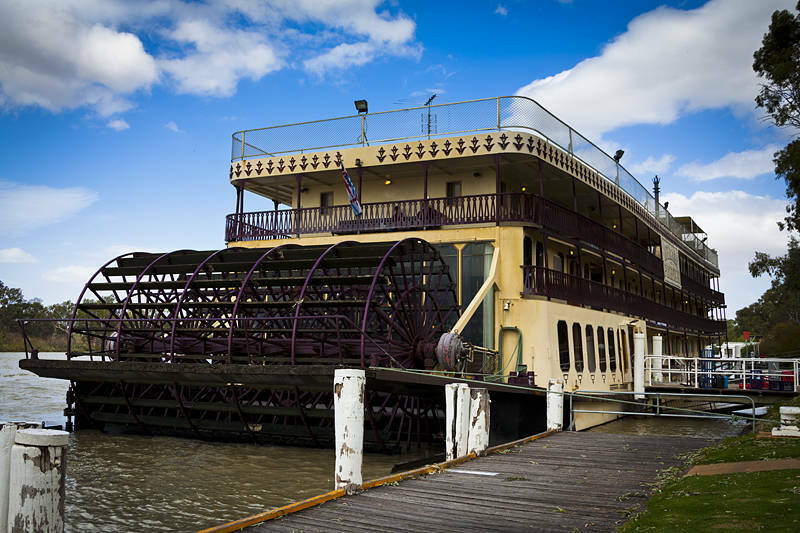 It is the largest paddlewheeler in Australia. Unlike river boats with imitation paddles, The Princess is authentic paddle power.